On April 17, the hip-hop artist was awarded the coveted music prize, a historic win and first for his genre. Up until yesterday, Saturday, June 9, was just another would-be enjoyable date on Saratoga Performing Arts Center’s upcoming summer schedule. Now, it’ll be showcasing American history. That’s because hip-hop artist Kendrick Lamar, who’s appearing at SPAC on his Championship Tour on that date, was just awarded the Pulitzer Prize for music on April 17 for his album DAMN., a first for Lamar—and most importantly, the rap genre, which has taken a decidedly longer time to be recognized as a legitimate art form compared to others such as classical and jazz. While Lamar is certainly the most recent Pulitzer Prize winner to appear onstage at SPAC, he’s not the first. Per a rep at SPAC, Wynton Marsalis, who won the award in 1997, appeared there as part of an all-star jam session at the Saratoga Jazz Festival in 1982 (though he technically wasn’t a Pulitzer Prize winner then), and more recently, composer Jennifer Higdon, who won a Pulitzer in 2010 for her Violin Concerto, spoke there in ’12. If the gravity of the honor hasn’t hit you yet, let me put it into perspective: Lamar has joined an exclusive cadre, which includes classical composer Aaron Copland, who won the prize in 1945 for Appalachian Spring; multiple winner Samuel Barber, who first won the prize in 1958 for his opera, Vanessa; and jazz artist Ornette Coleman, who won in 2007 for Sound Grammar. It’s worth noting that the list is mostly comprised of classical composers, so it only adds to the award’s significance. Could this be a coming out party for genres such as folk, rock and roll and metal? Not to mention the fact that some critics don’t even see DAMN. as Lamar’s best work to date. DAMN. 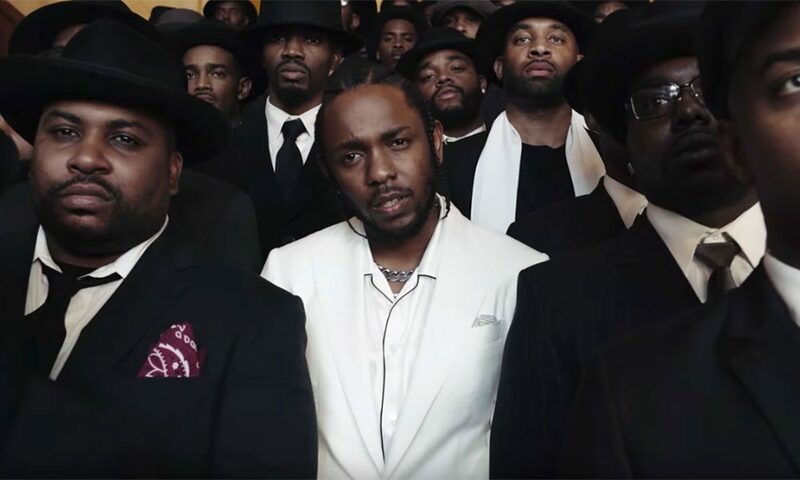 is Lamar’s fourth album, which had already received a Best Rap Album Grammy at this year’s awards. That’s just one of the 12 golden gramophones Lamar has received in his budding career, one that’s also included a number of Top 40 hits, as well as a No. 1 single, “HUMBLE.,” from his now Pulitzer Prize-winning album (listen to it below). Up until his Pulitzer win, Lamar had been riding high already, as he also produced and curated the soundtrack for superhero movie Black Panther, which put up record-breaking box office numbers. His summer tour kicks off in Vancouver, Canada, on May 4, and will already be well underway when he stops in the Spa City.